It's not a bird or a plane. 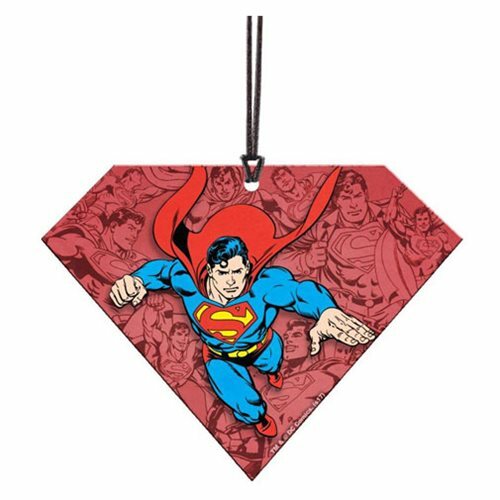 It's comic-style Superman in his bright blue, red, and yellow, soaring into your home décor! This amazing 3 1/2-inch wide x 2 3/5-inch tall DC Comics Originals Superman Logo Hanging Acrylic Print in the shape of the Kryptonian shield is ideal for any tree, wall, window, or car. After all, justice is always in season! The image is fused directly and permanently into the crystal-clear light-catching acrylic, so it looks really… super… when illuminated by natural light. Hanging string included.